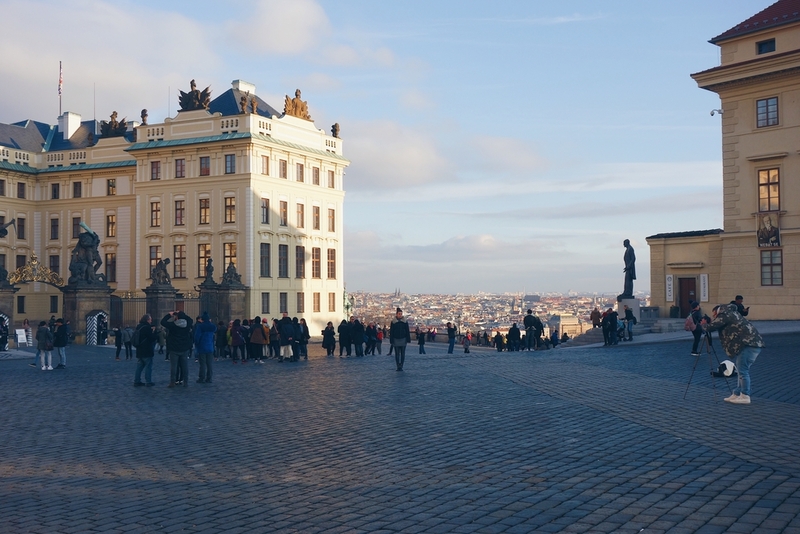 Prague has always been at the top of my list of European city breaks. We visited in mid-November and it did not disappoint. 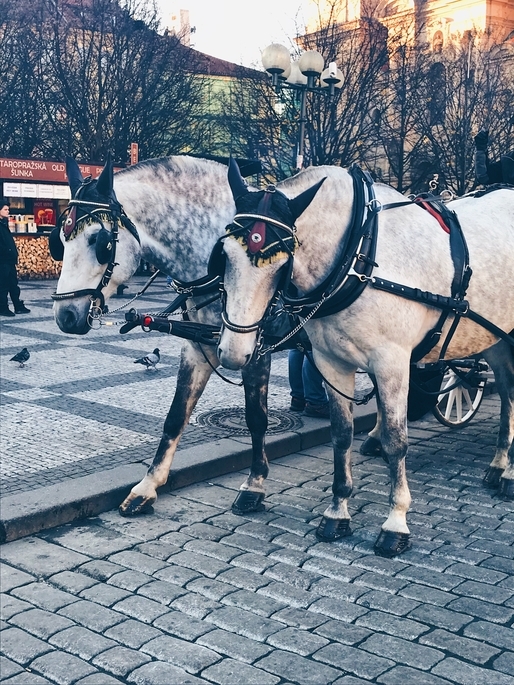 The city maintains an astonishing amount of rustic charm and frankly stunning architecture. 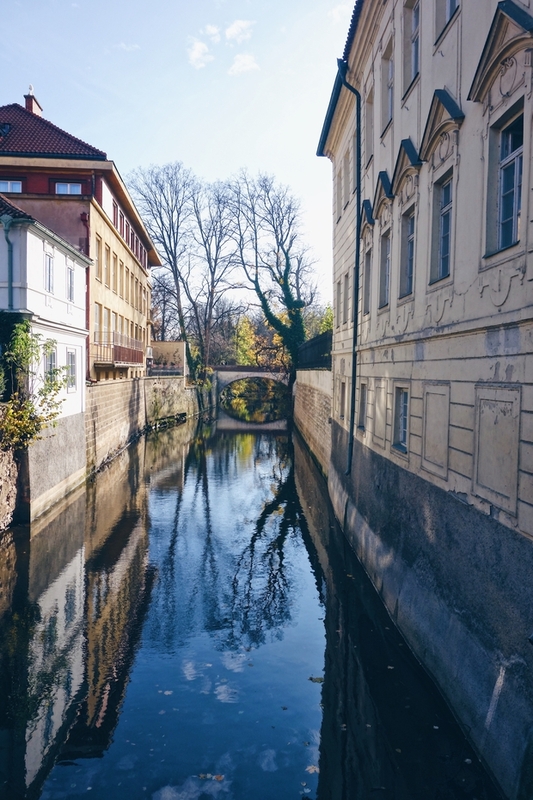 Those beautiful Baroque, Rooco and Art Nouveau buildings, which have avoided modern redevelopment, make the city an enticing hub of history and culture. From adorable pastel houses to grand palatial buildings, there are many wondrous sights to behold. 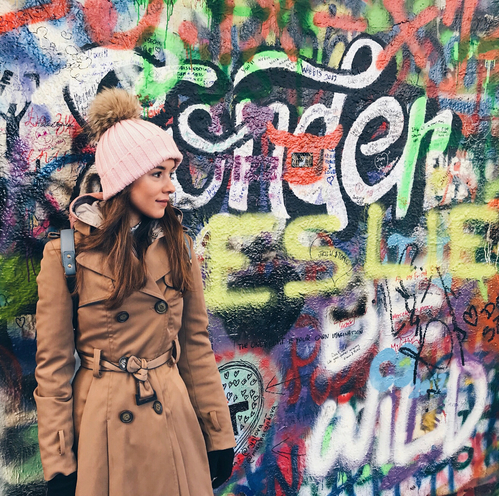 In this Prague city break guide, I share the best places to visit, eat and drink, as well as recommendations on where to stay and how to travel around. Many of these suggestions were given to us by our Airbnb host. So you can bank on these being the best insider knowledge you’ll get. No recommendations based on paid adverts or any deals between travel agents and businesses. Just good, honest advice from a local Prague resident. As just mentioned, we stayed in an Airbnb. 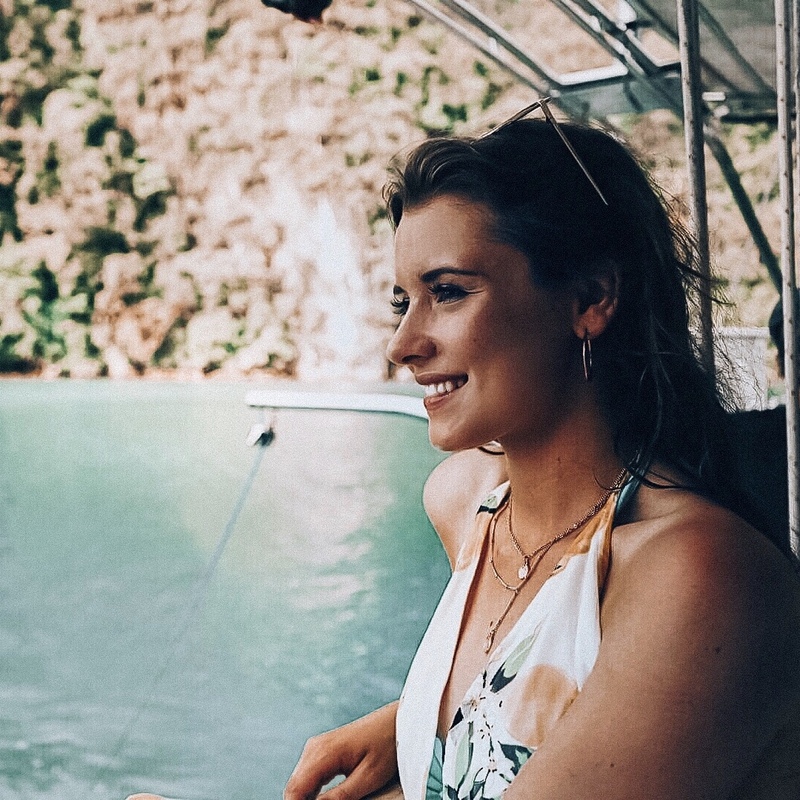 If you find the right place and the right host, it’s definitely the best option for a city break. You can take advantage of handy locations, spacious living arrangements and insider knowledge. All for a great price. We stayed in Tereza’s apartment. It sleeps up to six but there were only two of us, so plenty of room for dancing around. 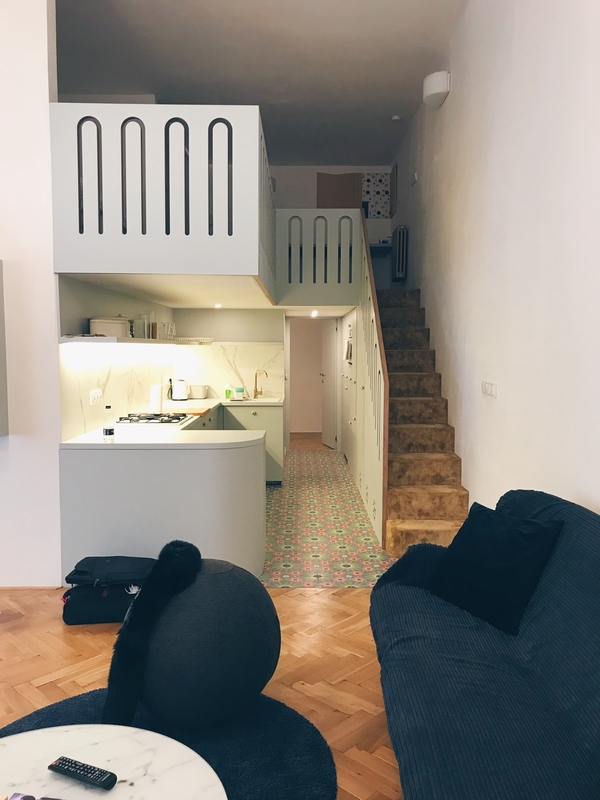 It was the perfect location, situated in a quiet neighbourhood but only a short walk from the hustle and bustle of central Prague. 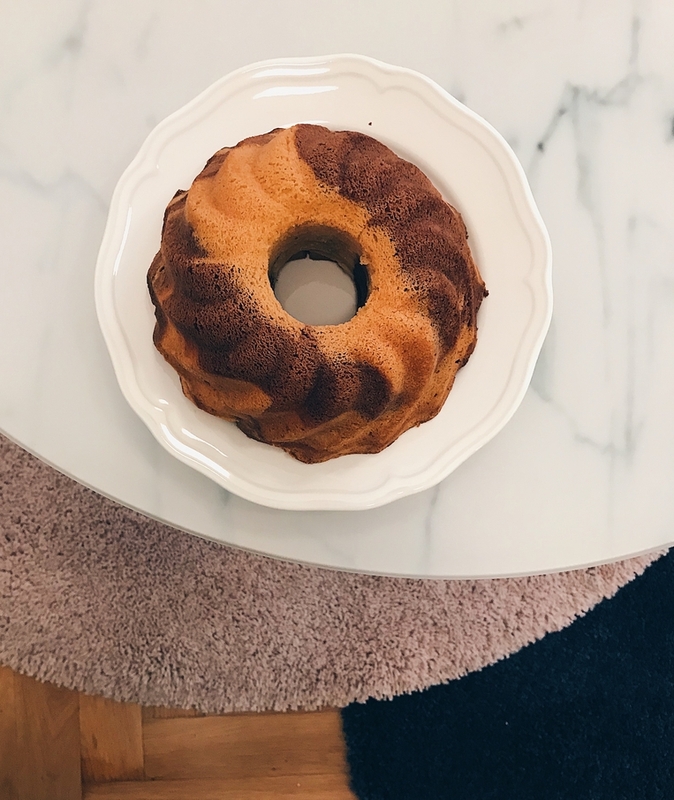 Tereza was an absolute dream, providing a whole folder of recommendations (some of which feature in this post) and even baked us a traditional Czech cake. I’m not ashamed to admit that we ate this for breakfast every morning. It was delicious. 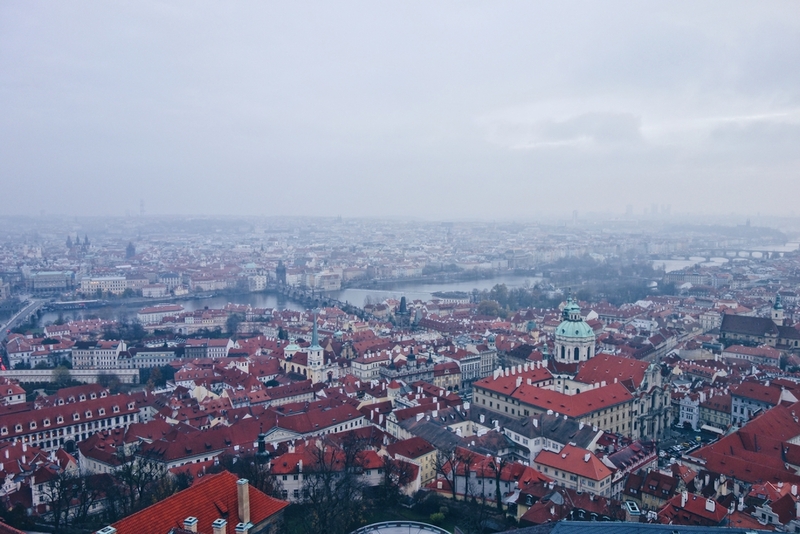 For anyone who lives or works in London, you’re going to have heart failure when you find out how much it costs to get around Prague. The good kind of heart failure. We paid the equivalent of about £10 for a 72 hour travel pass. This allowed us to use all modes of transport, including the metro, buses and trams. £10 – for real. It actually makes me feel a bit sick. A travel pass is definitely the most convenient ticket to buy. You can get them at the machine in the airport and it even covers the bus from the airport to the metro. What a dream. There aren’t any ticket barriers at the stations. All you have to do is make sure you validate the ticket on the first mode of transport you board (probably the bus from the airport), using one of the available machines. Make sure you do get a ticket though, as they do get checked by officers. Some of them are even in disguise on the bus, posing as passengers but secretly a ticket officer. Well sneaky. 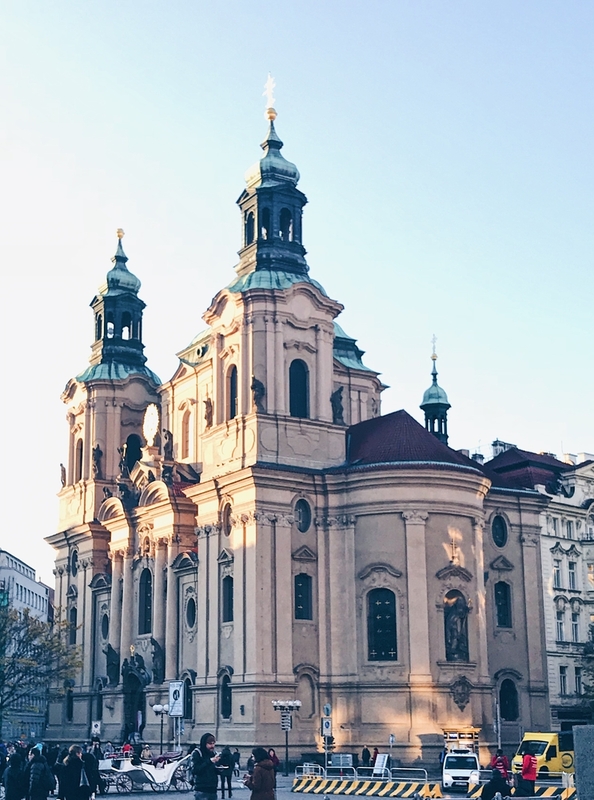 Okay so obviously I can’t list everything there is to see in Prague, otherwise I’d have to turn my blog into a dedicated ‘what to see in Prague’ blog. And I kinda like things as they are. So here are a few of the highlights that you definitely need to make time for at a bare minimum. 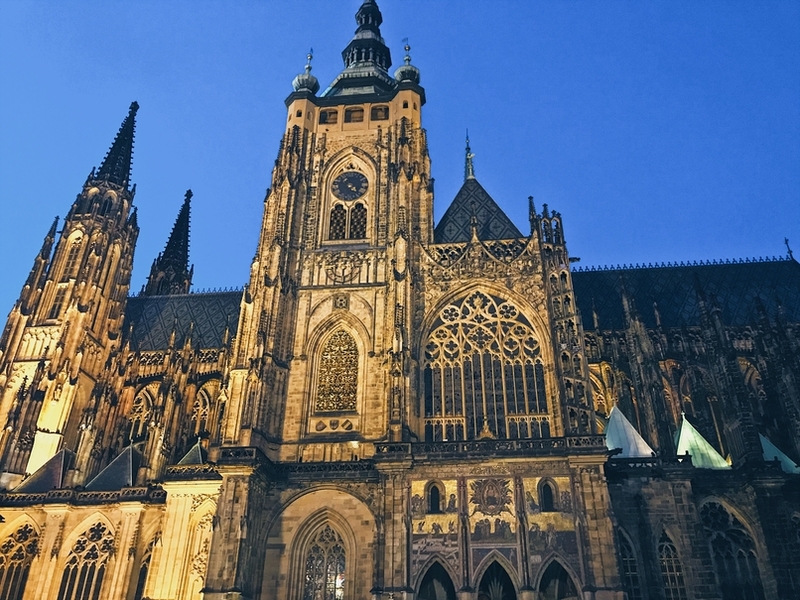 The Prague castle complex is a seriously impressive sight, from the unbelievable architecture to the stunning views over the city. 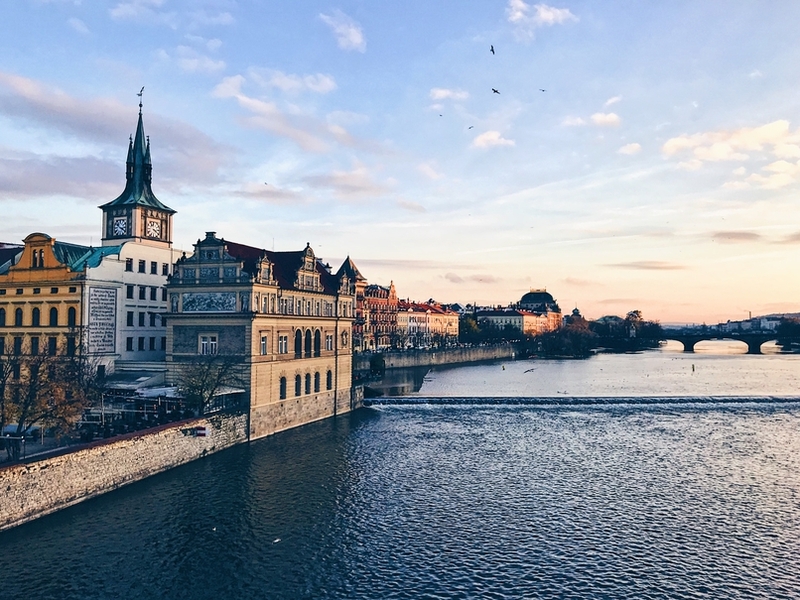 The castle gates are situated in Hradčanské namestí, a sprawling square with a whole host of grand, palatial buildings and the best view over Prague. Members of the public are free to wander around the courtyards, soaking up the atmosphere and taking in the views. 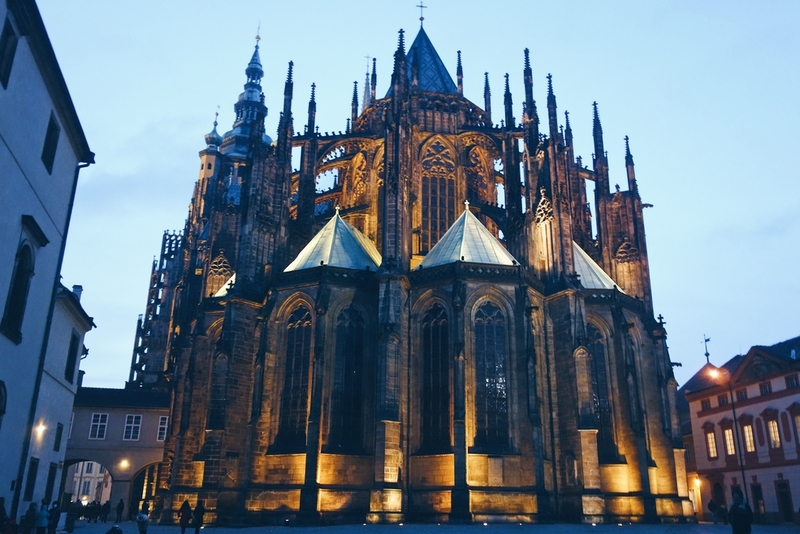 The Gothic Cathedral of sv Víta is a particular standout. If you’re feeling fit, I’d recommend climbing the tower for some exceptional views. Be warned though: we did this after a heavy night out and a never-ending spiral staircase i not the one when you’re hanging. You really do need to have at least a base level of fitness, so please don’t force your frail grandmother up there. This is the bridge that features on all those postcards of Prague and is by far one of the most famous monuments in the city. Lined with sculptures and full to the brim with people (it’s pedestrianised), it’s full of hustle and bustle. 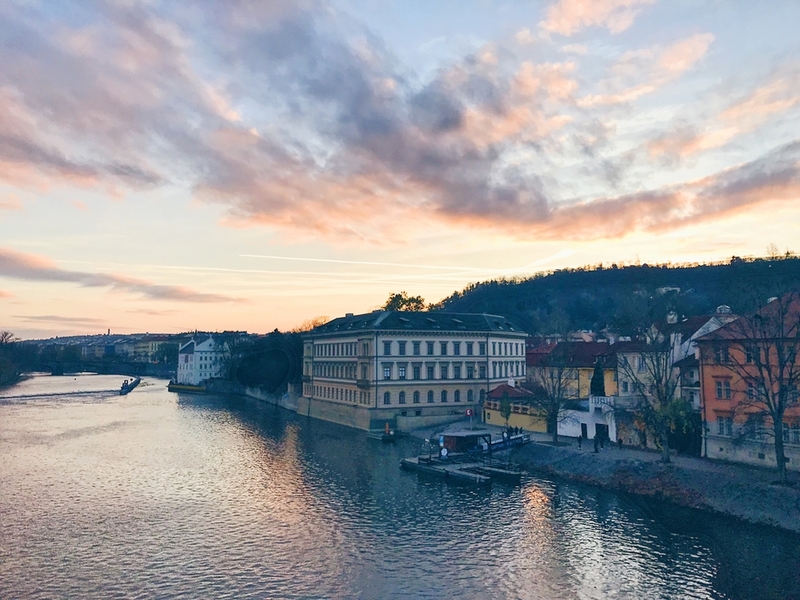 Snap some photos over the Vltava river and marvel at the slightly eccentric performances and touristy habits. 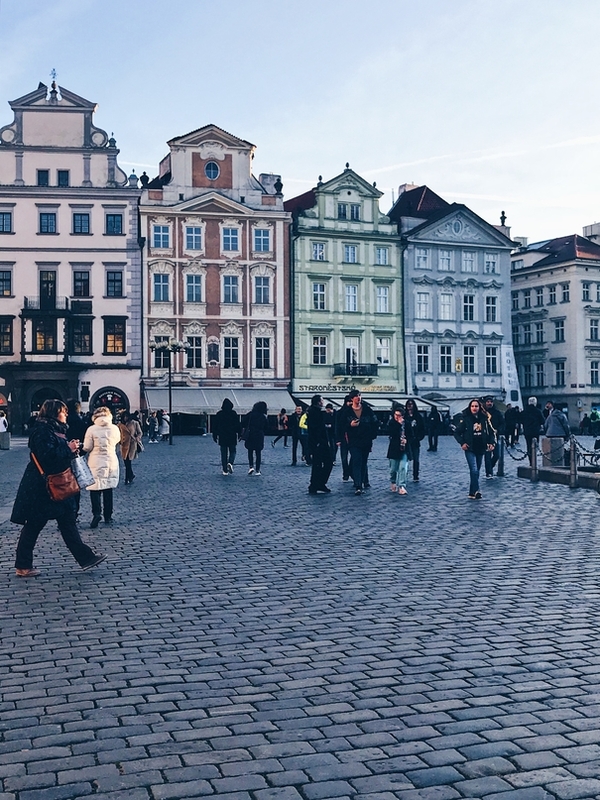 This is definitely the most spectacular square in Prague and functions as the traditional heart of the city. 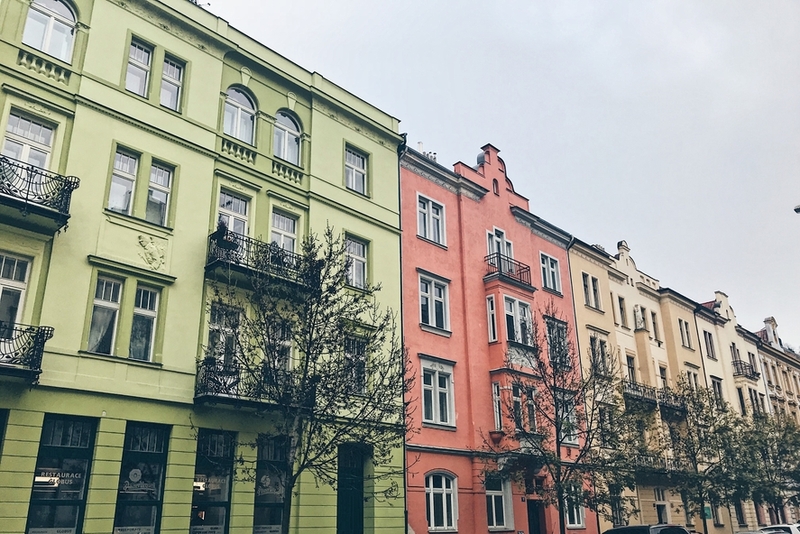 A site of historical significance and lined with beautiful pastel buildings, spend some time soaking up the atmosphere. Visit in December and enjoy the festive Christmas markets. We didn’t actually visit this one but I’ve heard lots of good things about it. 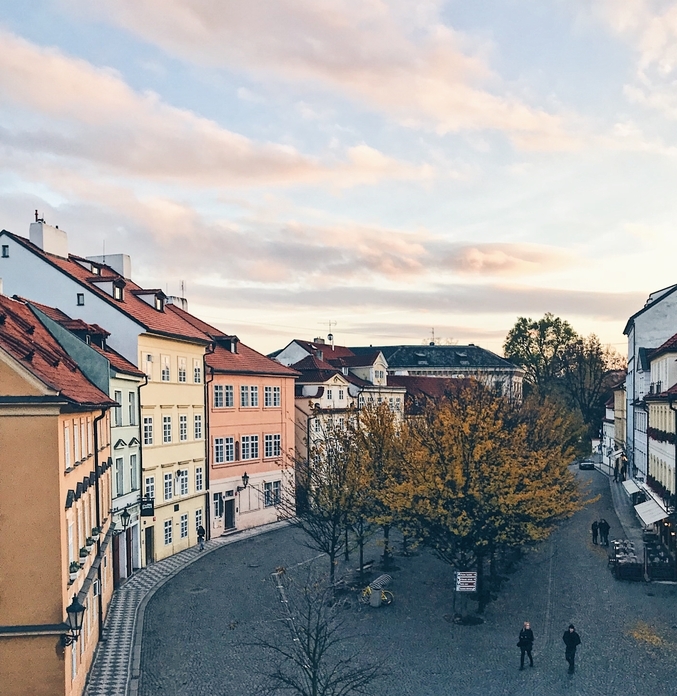 A haven for modern art aficionados, the Veletržní Palace houses Prague’s best twentieth-century Czech and international art collection. 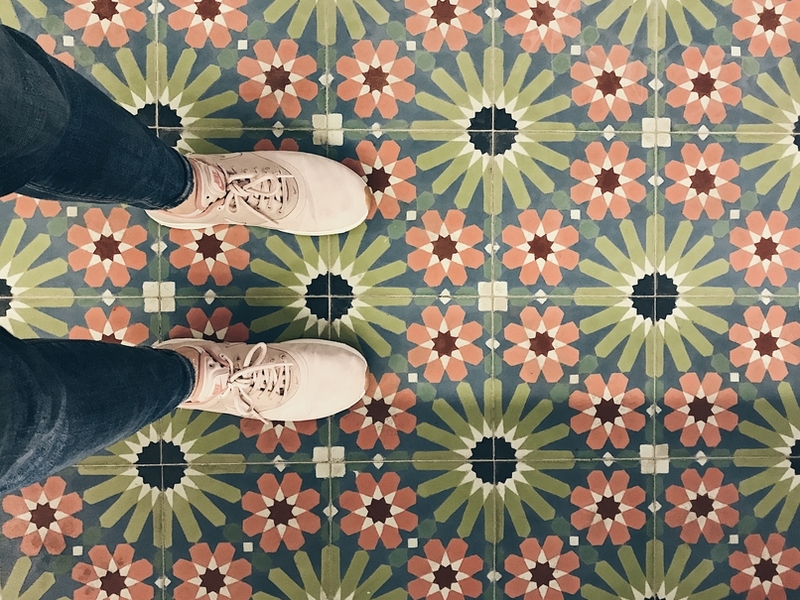 Featuring a vast amount of contemporary exhibitions, you’ll need to put aside a considerable amount of time to get through the whole building. A quirky museum that is definitely worth a visit if you’d like to see something seriously impressive. The museum features works by the Russian-born Anatoly Konyenko, who created minuscule pieces of art. Highlights include the Lord’s prayer written on a human hair and the smallest book in the world, a 30-page edition of Chekhov’s Chameleon. 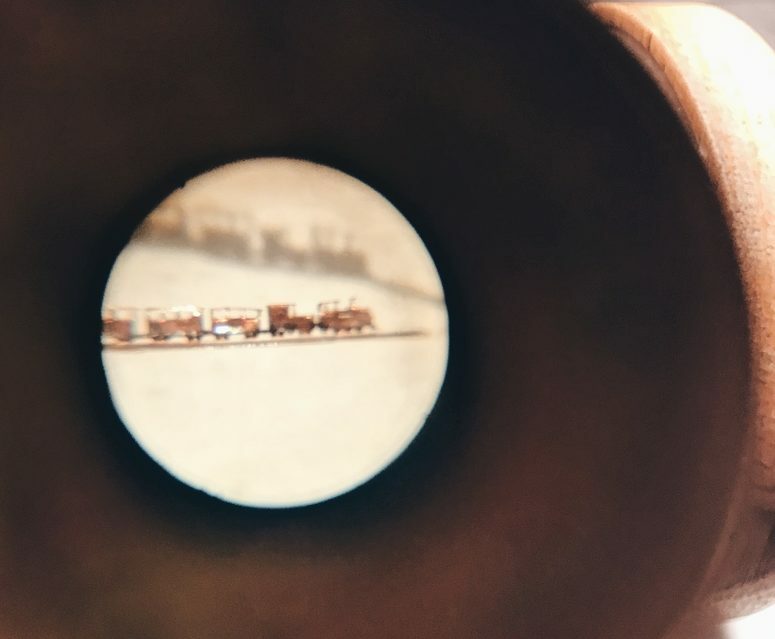 Peer through the microscopes and prepare to have your mind blown. ^ Train carriage on a mosquito leg. Yes, really. Throughout the 1980s and 1990s, there was an ongoing battle between the police and graffiti artists. Following John Lennon’s death in 1980, Prague’s young graffiti artists created a shrine. This took the form of a wall covered in graffiti tributes to the ex-Beatle and the wall’s scribblings have since been legalised. 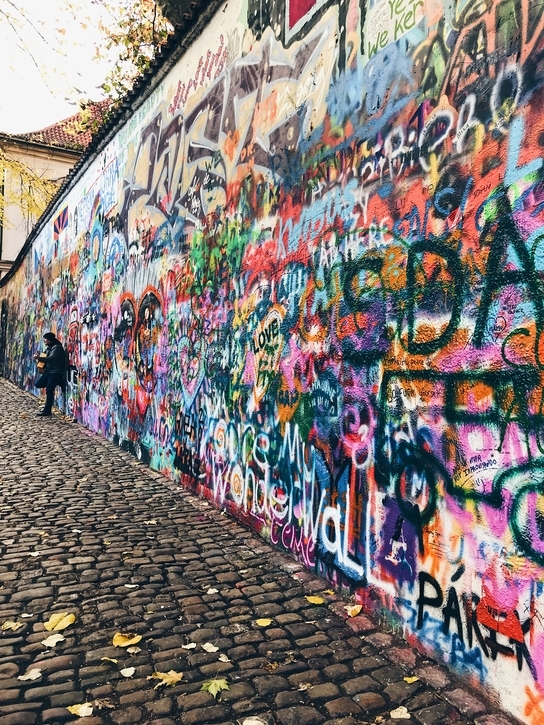 Situated in Velkoprevorské námestí, the wall is definitely worth a visit for its uplifting messages of peace and hope. You’ll often find a lone musician strumming and singing his way through the Beatles’ repertoire. The spot makes a great Instagram picture backdrop too, just sayin’. What I mean by ‘everywhere’ is the general feel and abundance of beautiful buildings which line the cobbled streets. As cheap and easy as the public transport is, I’d recommend doing as much as you can on foot so you can really take in all that the city has to offer. This was one of the top recommendations from our Airbnb host and is situated in the Karlin district. We stopped by for lunch on our first day and it did not disappoint. 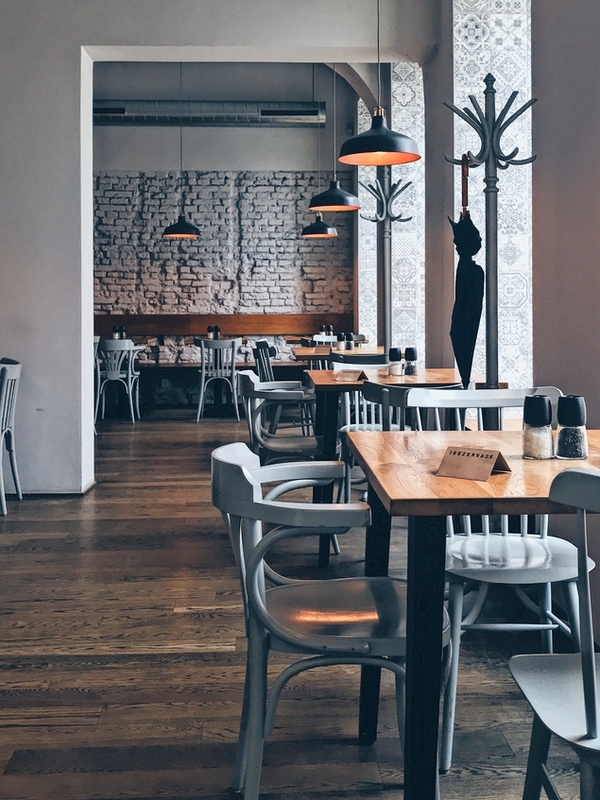 Combine a cosy, friendly atmosphere with seriously tasty food, you simply must visit if you are in the area. 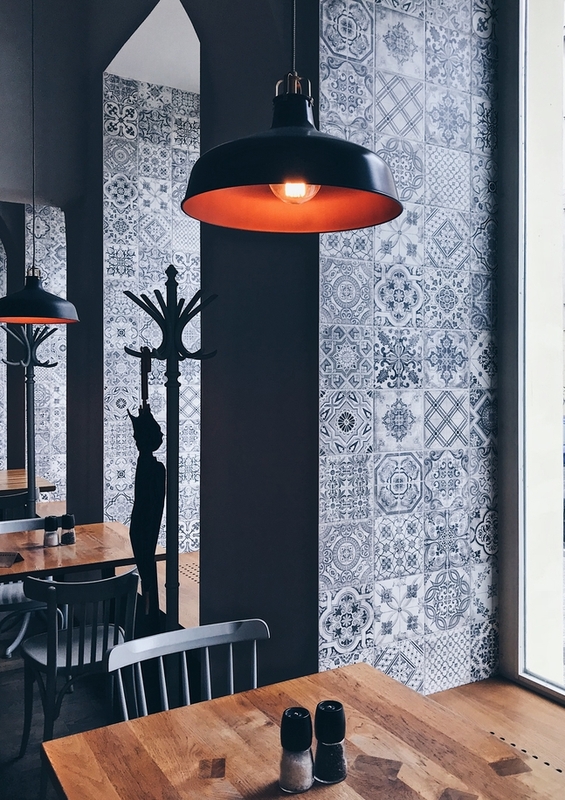 Stylish interiors and food cooked in a Josper oven for a delicious taste, Nejen Bistro is definitely worth a visit if you’re passing by. Unfortunately I can’t vouch for the food as we only had time for a coffee before catching a plane, but if they put as much thought into the food as they do their interior design, then I’m sure it’ll be a winner. This isn’t a place, so much as a traditional Prague delicacy. You won’t need to look for a place that sells Chimney Cakes. They are literally everywhere. 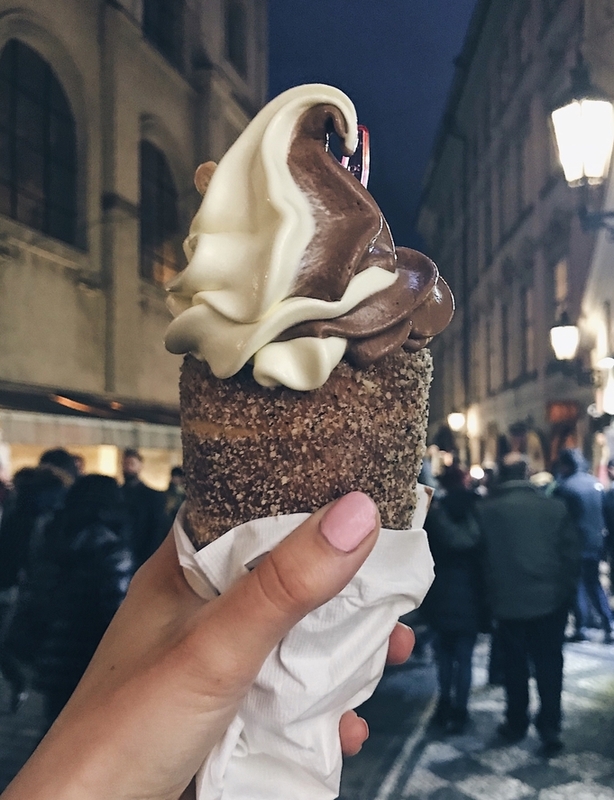 Think ice cream in a sugary pastry deep-fried cone. You’ll come back a stone heavier but it’s totally worth it. 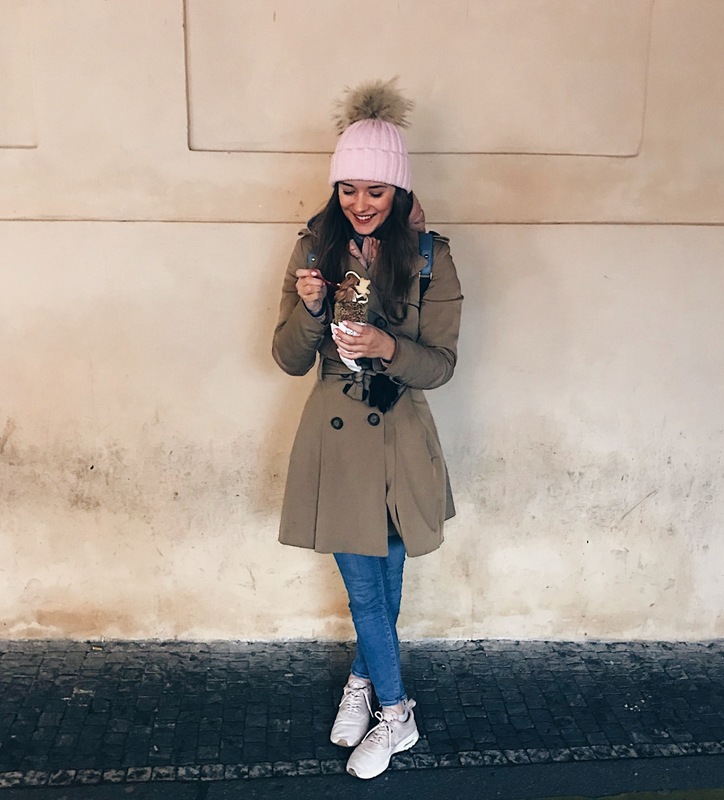 This was an absolute dream of a find and is hands down the best hot chocolate I’ve ever tasted. Yes, even better than my homemade Baileys hot chocolate. A cup of molten chocolate that is making me dribble just thinking about it. 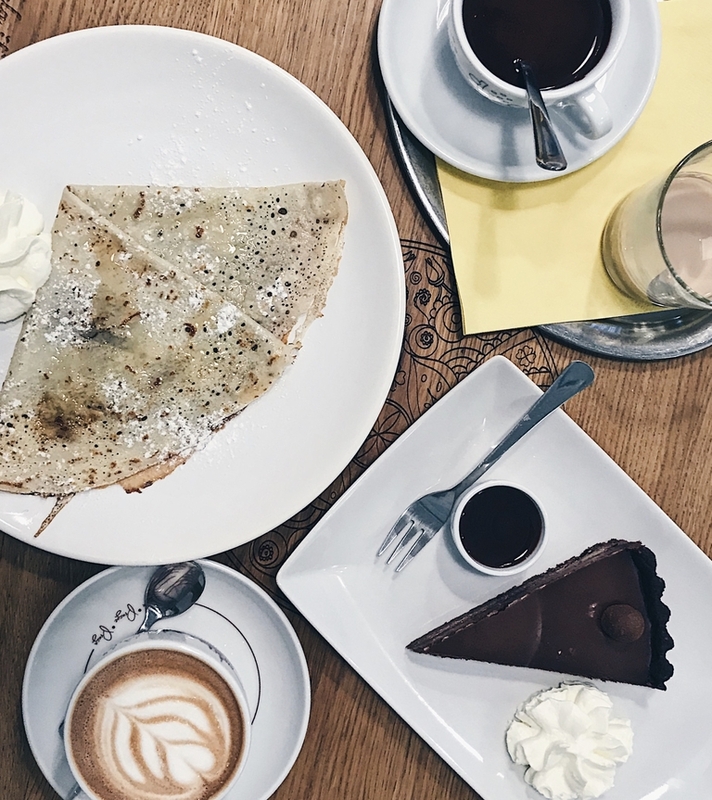 We also indulged in some pancakes and cake, all of which were totally delicious and a welcome respite from the chilly weather outside. Andel Plzensky Restaurant – ideal for a classic Czech dining experience with fantastic beer and an enticing winter garden. Lokál Dlouhááá – visit for incredible fried cheese and beer (really what more could you want in life? ), conveniently located opposite the beer museum. Host Restaurant – situated by Prague castle, this is a cosy restaurant with fantastic views over the city. Noi Restaurant – Thai restaurant with a lovely design and an outside garden. Giallo Rossa – our host’s favourite Italian restaurant, situated in Old Town. Tikka – Indian restaurant offering friendly service and delightful Indian specialities. Alcon – 1920s style serving exceptional seafood. 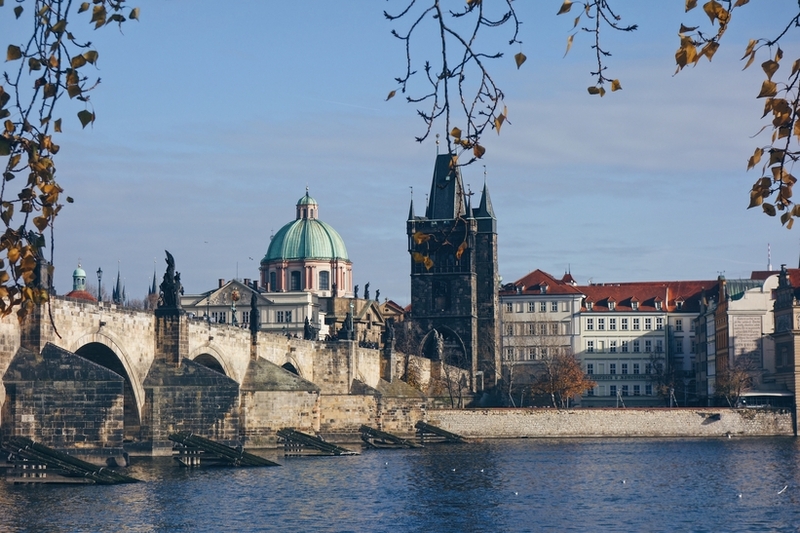 Vino Divino – offers the best wine choice in Prague. SaSaZu – beautiful interiors combined with a fusion of Asian cuisine. Lehkahlava – vegetarian restaurant situated in a charming building. Radost FX – the first vegetarian restaurant to open in Prague. Sansho – Asian casual fine dining that supports local farmers. Bílá Kráva – situated in the centre of Prague, offering various French specialities. Naše Maso – a butchers serving quality meat from Czech breeds. 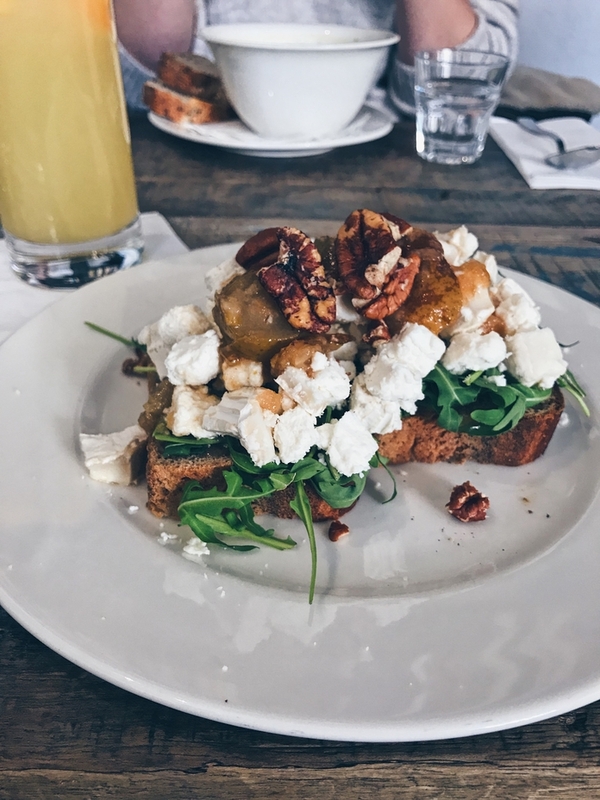 Bakeshop – our host’s favourite breakfast spot in Old Town. Grand Cafe Orient – classic Czech style with cubism design and architecture. Café Louvre – art deco style serving amazing hot chocolate. 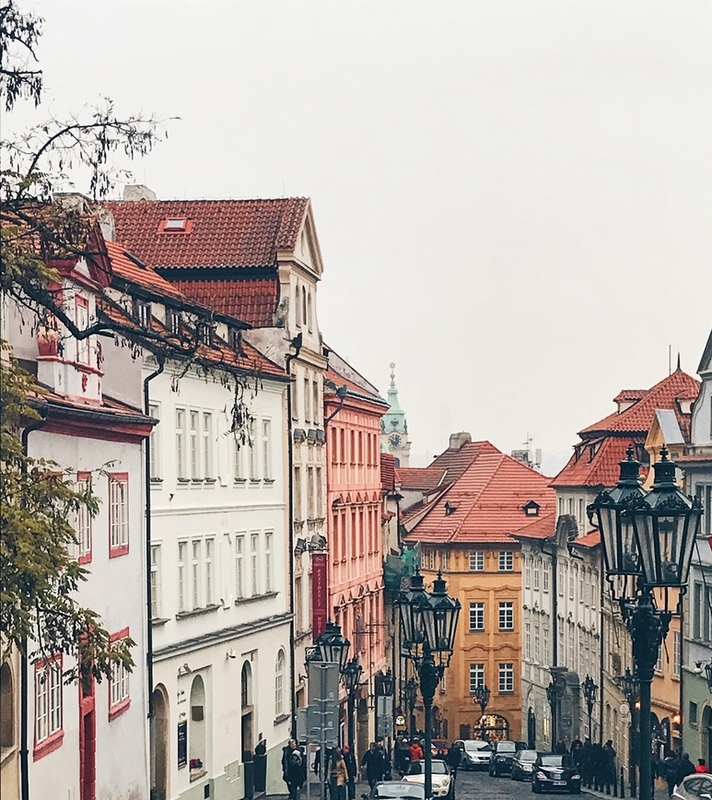 For a great night out in Prague, you’ll need to head to Dlouha Street, where the locals go out. Entry is generally free at all places and there are usually no dress codes so feel free to bar hop as much as you’d like. 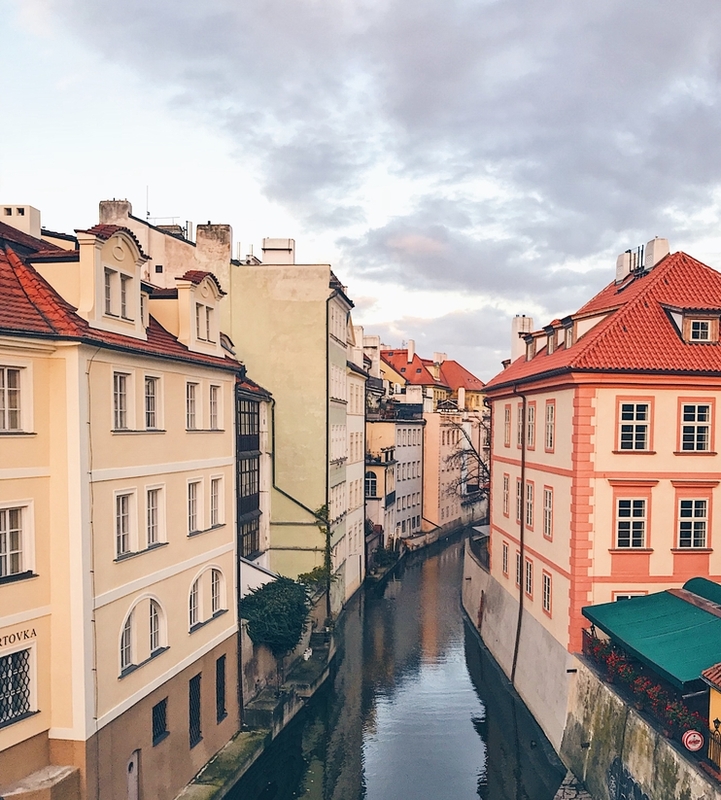 And there you have it, my Prague city break guide. This is by no means an extensive guide and there are so many other places to see and visit. But hopefully these recommendations will prove helpful for anyone planning a trip and if you have any questions, please get in touch!